Installing/How to Install MySQL 5.5.16 on Windows? 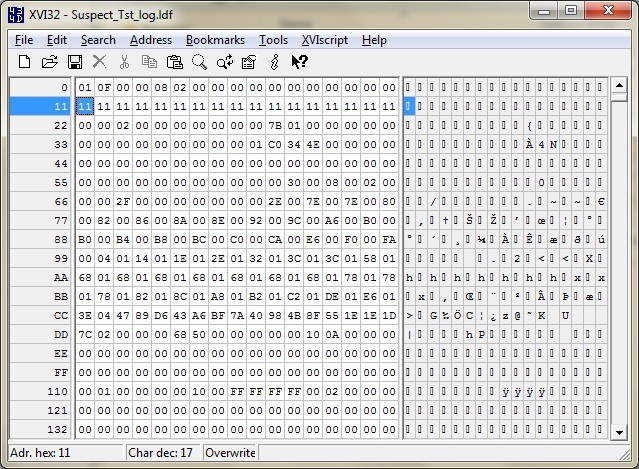 Well, Let’s deviate a little bit from SQL Server in this Blog Post. 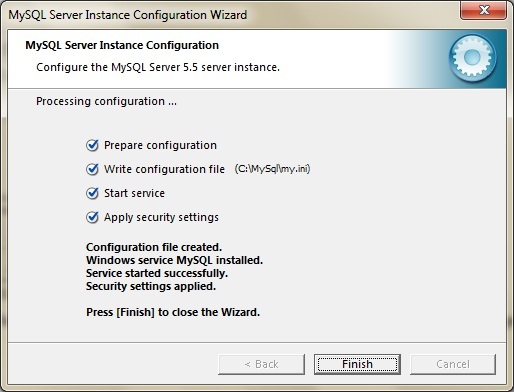 In this Post, let’s see how to Install MySQL on a Windows Machine! Before doing that, let me tell you why/how one gets benefited knowing multiple RDBMS Platforms. Reason 1: Well, exposure to other products besides SQL Server is an Obvious Reason to Explore other RDBMS Softwares. Reason2: Gaining Knowledge is never a loss 🙂 There’s no harm pushing it into our brains as much as we can. 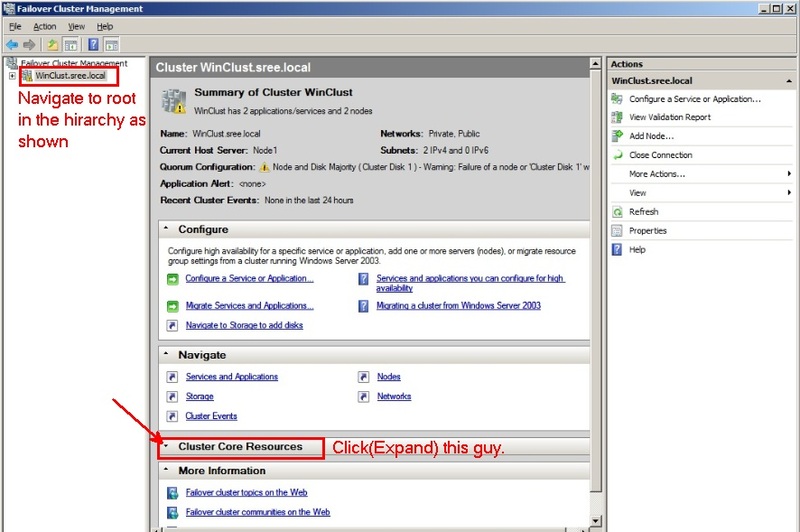 Reason3: SQL Server Vs Oracle!! 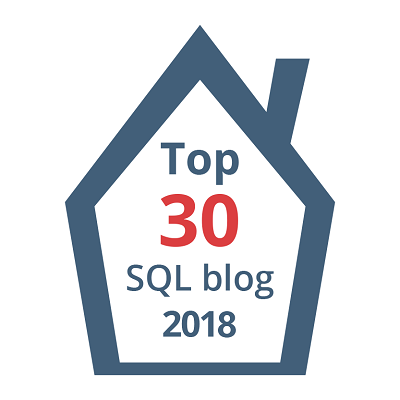 !….Personally I love SQL Server(May be because I’m administering SQL Servers, I did SQL 2000, 2005/2008/R2 and always carried the passion and Zeal and am totally into Microsoft), but I was always very curious to Know how things work in Oracle. How they achieve so and so in Oracle. What is SQL Server Missing when compared to Oracle, What is Oracle missing when compared to SQL Server and So on…. 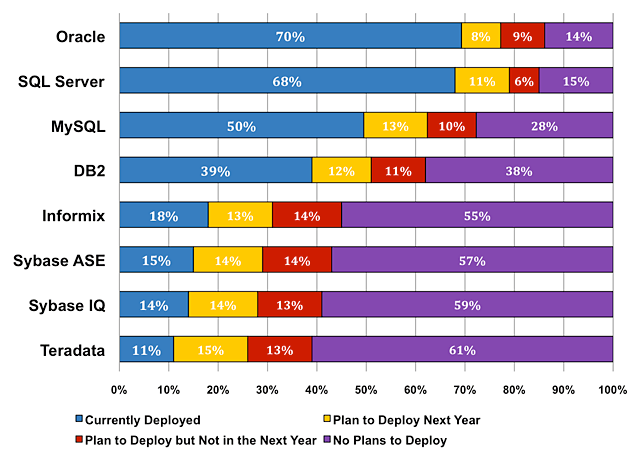 Reason 5: Below is a screenshot from “Gartner Group” on trends/Market Share of RDBMS platforms. 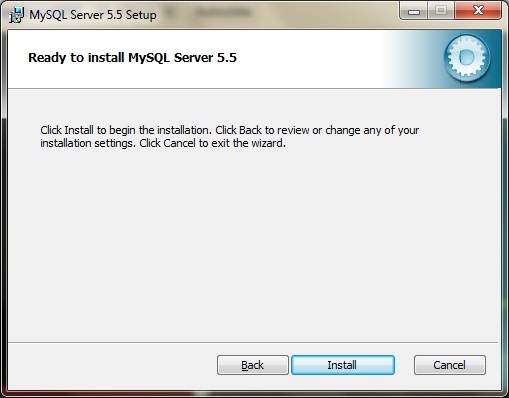 Anyways….If you are interested in Installing MySql, you can follow the rest from now on! 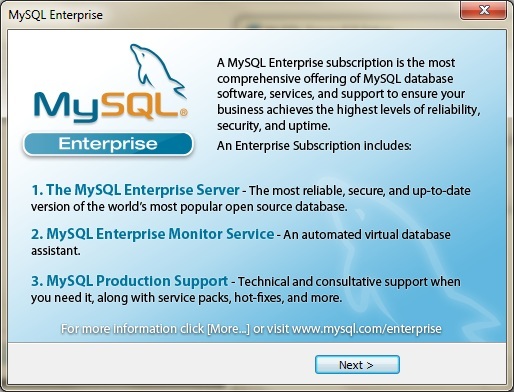 Step 1: Go to http://www.mysql.com/downloads/ and download MySQL Community Server. Choose your appropriate Operating System/X64/X86 as shown in the below Screenshot. Step 2: I’ve downloaded 64-Bit Windows msi file. Double Click on the msi file, you’ll be welcomed with the Installation screen as seen below. ->Next -> Read the License agreement -> Next. Choose Custom(to change the defaults and control what exactly we need to be Installed) as shown below. Step 3: Change the Default Paths(Optional). 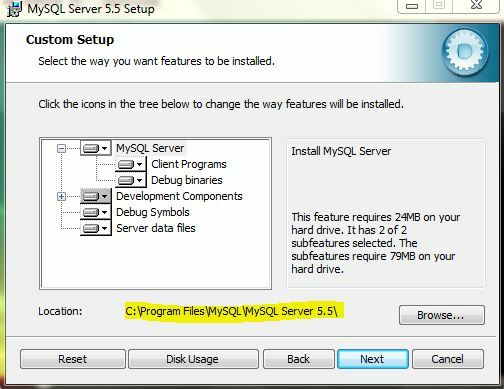 You can see the default Paths selected by MySQL as “C:|Program files\MySQL\MySQL Server 5.5\”. I’ve changed the path to “C:\MySql\” to keep it simple. 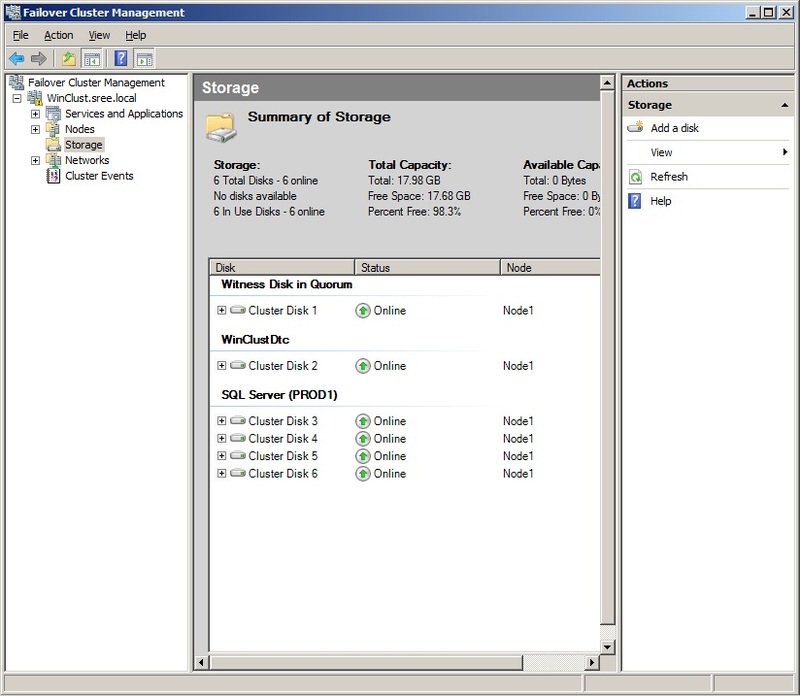 Make sure that you changed both for MySQLServer and Server Data Files. Next -> Install as you can see below. Now, you should be getting a window with “Next Button” as the only option to select as shown below. 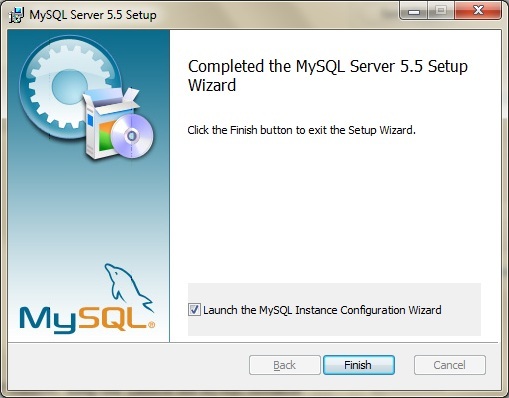 Click Next ->Next and now you should see “Completed MySQL Server 5.5 Setup Wizard” window. Keep the “Launch the MySQL Instance Configuration Wizard” button checked as shown below. 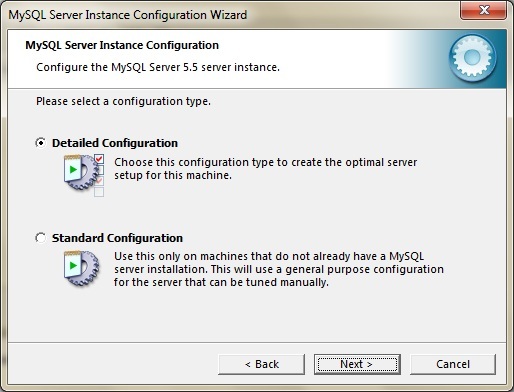 Step 4: Now you will be welcomed with Instance Configuration Wizard as shown below. 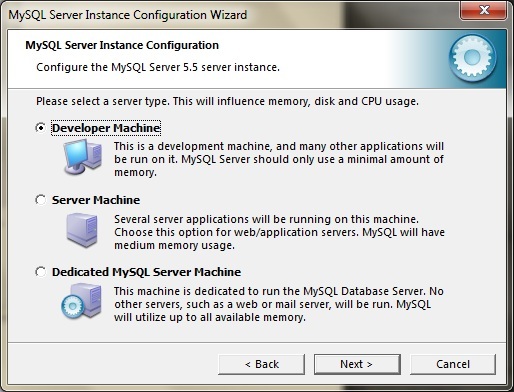 Now, I selected “Developer Machine” considering many SQL Server Instances already I’ve on this machine!. 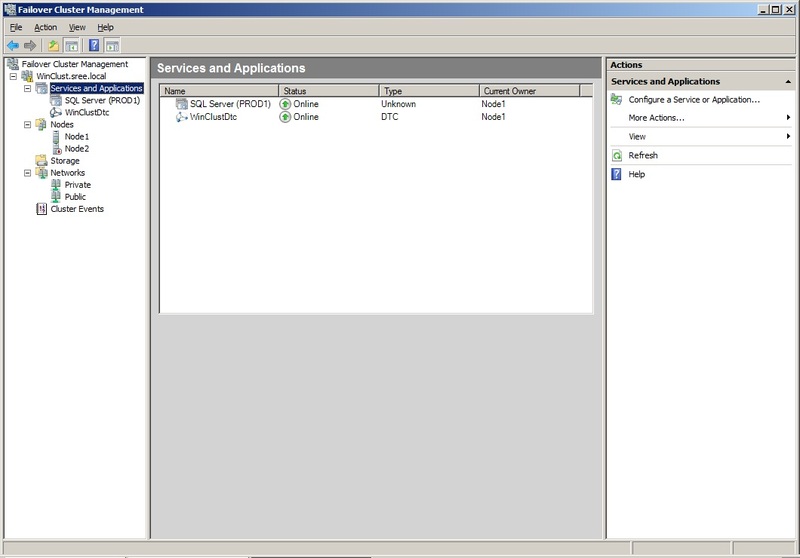 It’s your choice, all it matters is how your CPU/Memory resources are consumed my MySql Server. You can see this in the below Screenshot. Step 5: This is a crucial decision now! If you want only Databases, which are not necessarily needed to obey ACID Properties, you can choose “Non-Transactional Database only”. 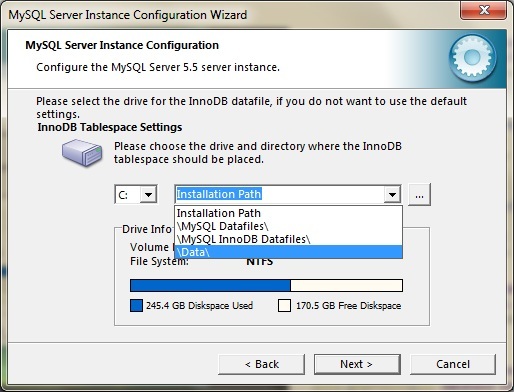 ( With this Option, InnoDB Storage Engine will not be Installed). 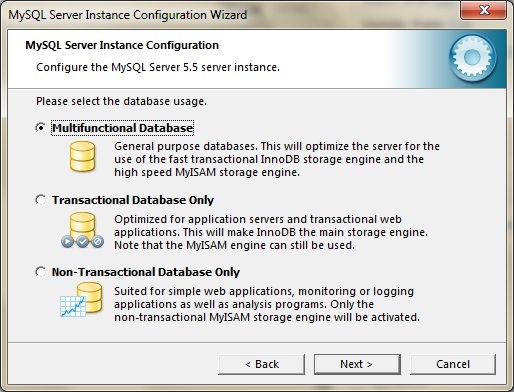 If you want truly ACID Database, you can choose “Transactional Database Only” (This will make InnoDB Storage Engine as the Main Storage Engine). If you want both, with no exceptions/issues, Choose “Multi Functional Database”. 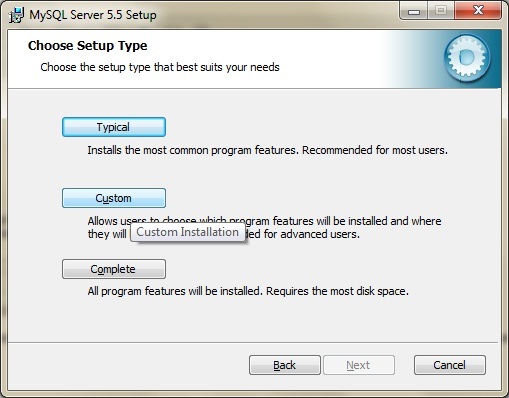 This is a huge huge difference from Installing MS SQL Server Database Engine! 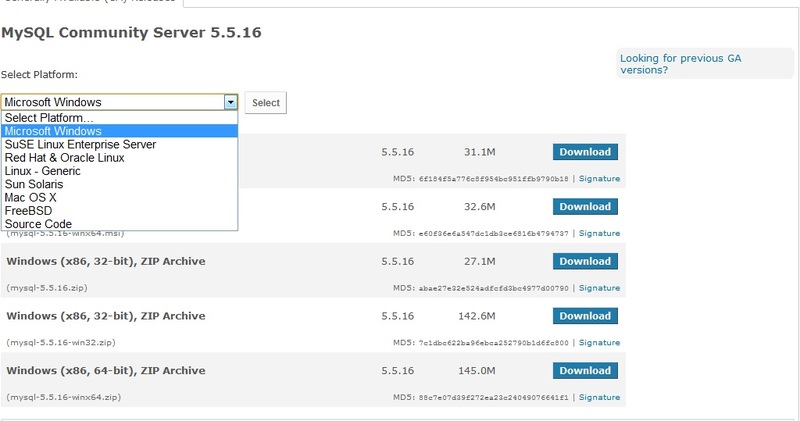 Step 6: Now, Choose where you want your InnoDB TableSpace (Data files) to be Placed. See the below Screenshot. 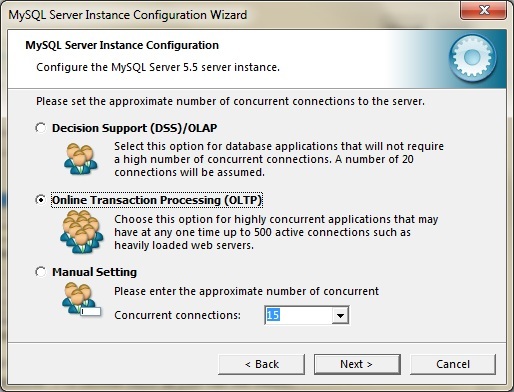 Step 7: Now, choose how many concurrent connections you would want to allow to connect to your MySql Instance. 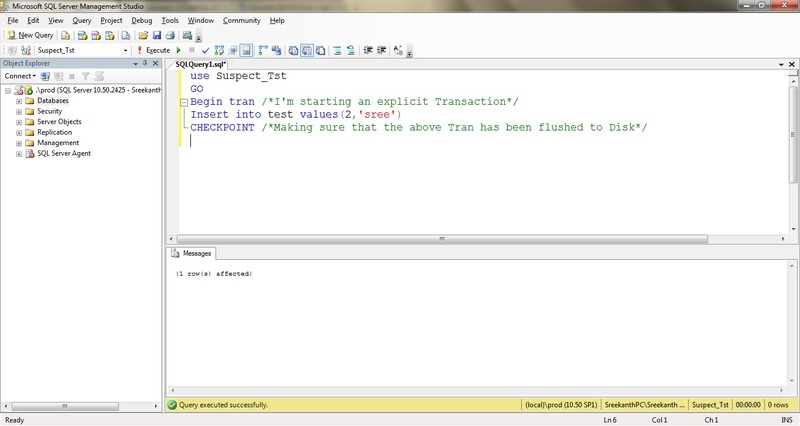 You can choose either DSS(OLAP) or OLTP or also you can define your Own number. I’ve chosen OLTP as you can see below. 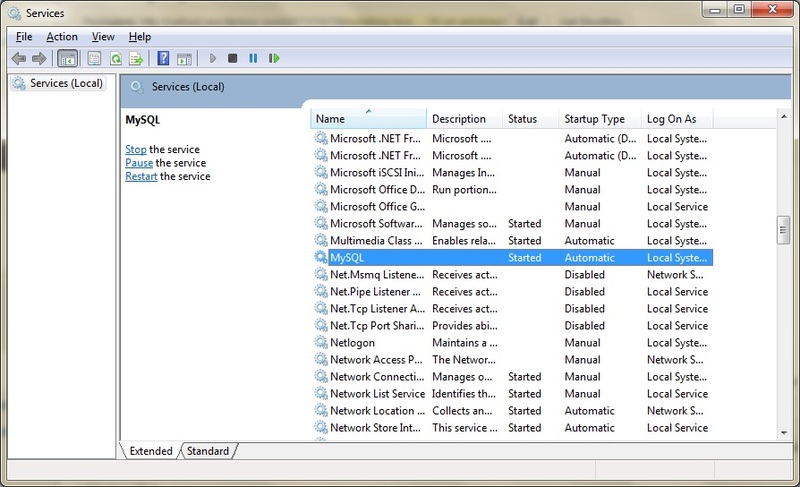 Step 8: Network/TCP IP Settings. 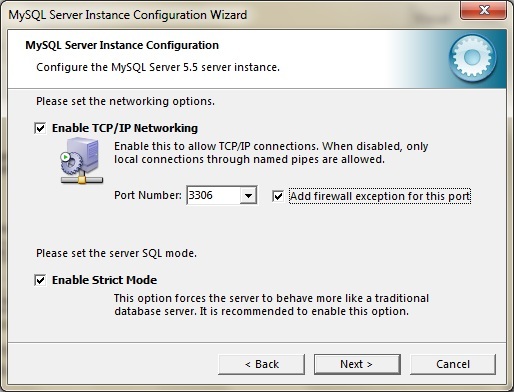 By default MySQL TCP Port for communications is 3306(Remember, it’s 1433 for SQL Server). You can change it if needed, make sure that you’ve checked “Add an exception to this Port” Button as shown below. Step 9: Now, Collation. Leave it to default unless you really understand what you are trying to do by changing character set!! You can see below. 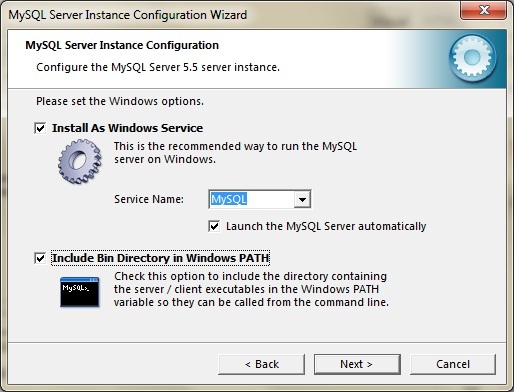 Step 10: Choose Install MySQL as a Windows Service and Check “Include BIN Directory in Windows Path” checked as shown below. Step 11: Choose “Root” User password. 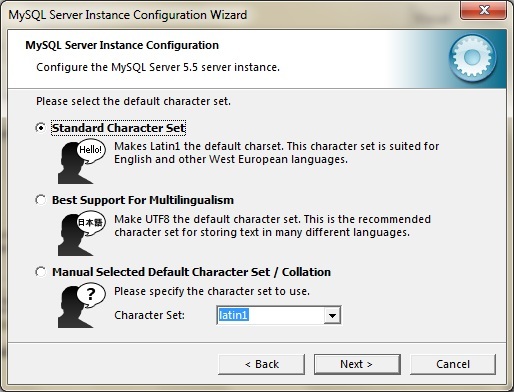 This is similar to “sa” in SQL Server. Choose a very strong and Secure Password. You can see below! Step 12: Click Execute and Keep your Fingers Crossed 🙂 If everything goes well, it should be pretty quick and you will be getting the below Screen! Some times It might just enter “hung state” annoyingly!!! In that case, try disabling Windows Firewall/Firewall from any Antivirus Software temporarily and try to run MySQL Configuration Wizard again or even Uninstall/Re-Install(with the exact same options/paths what you have chosen earlier) sometimes. 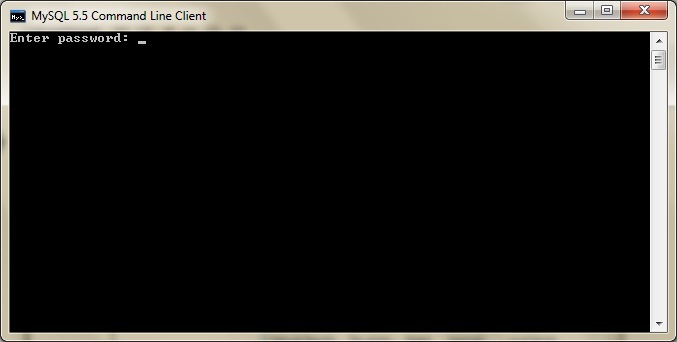 Now, as you can see in the below Screenshot, I’ve mysql as a windows Service. 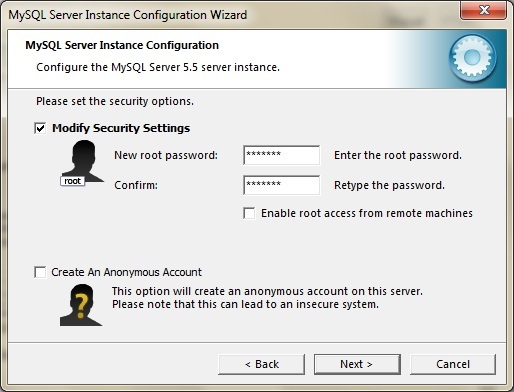 Let’s actually try to Connect to MySQL using our Root User! 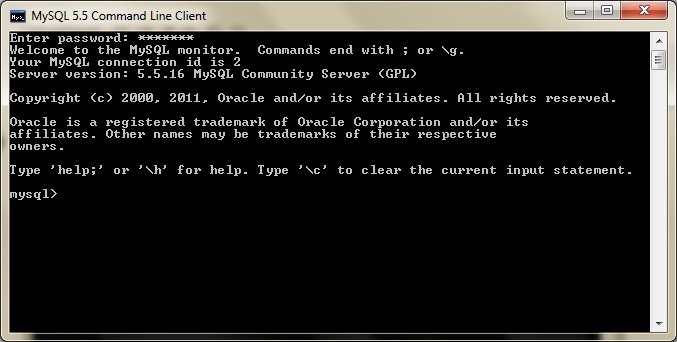 (you should be seeing MySQL command Line Client 5.5 in our Program Files.) Once I clicked on it, I was asked to provide root user Password. Hope this is useful. Cheers!! Howdy!! 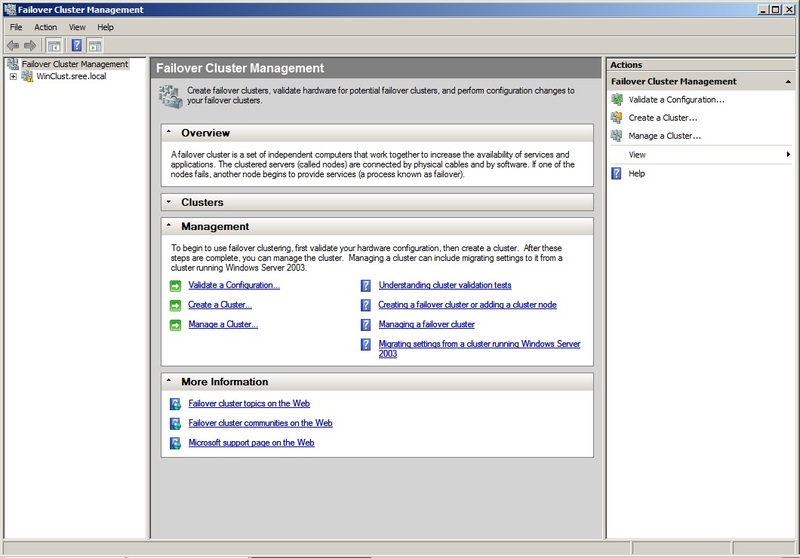 Microsoft has released Service Pack3 for SQL Server 2008. 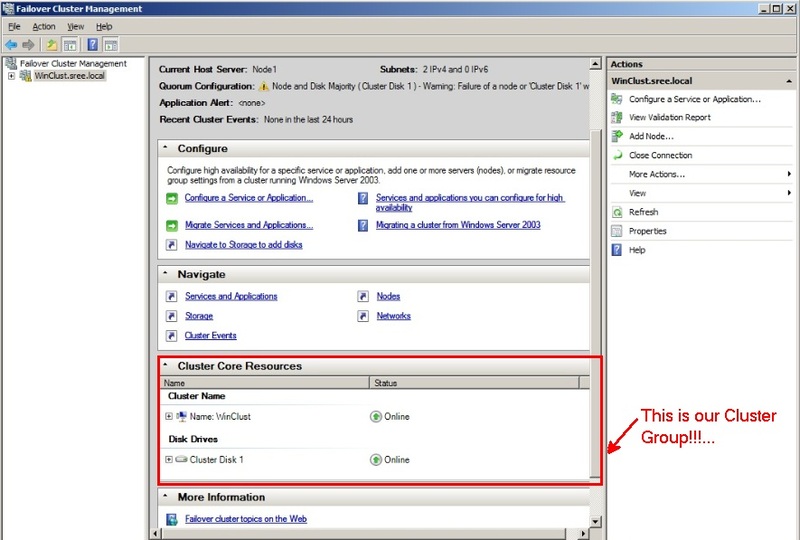 This contains CU 1 to 4 of SQL Server 2008 SP2 + few interesting fixes to issues which customers have repeated. 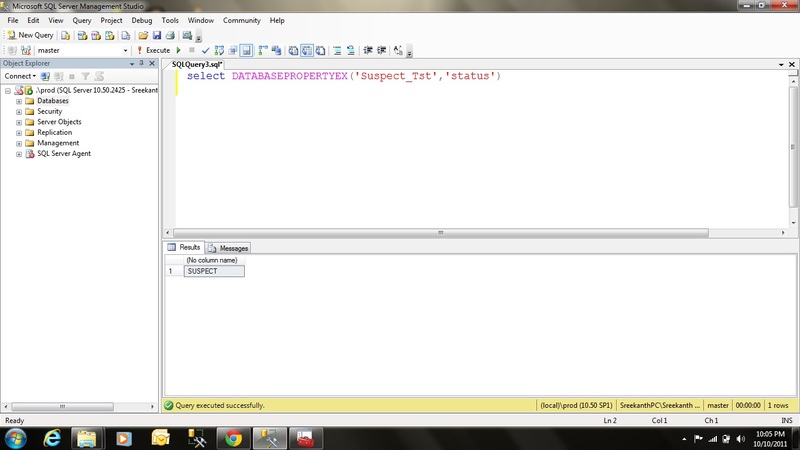 Exact Number of rows sent in Data Flows will be logged in SSIS logs . Increased and Reliable Setup experience/performance. For More Information and downloading/testing yourself , Please visit Microsoft Download Center.